We’ve partnered with Ford Motor Company to share with our readers our adventures celebrating the 500 years of Florida and the state’s Latino influence. This is the third and final post of the series. All #FamiliaTravel stories aim to share our fun quest to educate our tweens year round. Disclaimer: Los Tweens received a Ford Escape for use as well as compensation to cover expenses. The Florida Keys & Key West provided passes to local attractions. It was fitting that the last stop for our Los Tweens #FamiliaTravel tour of Florida’s 500 years of history took us to infamous Key West “Cayo Hueso,” the Southernmost city in the United States. 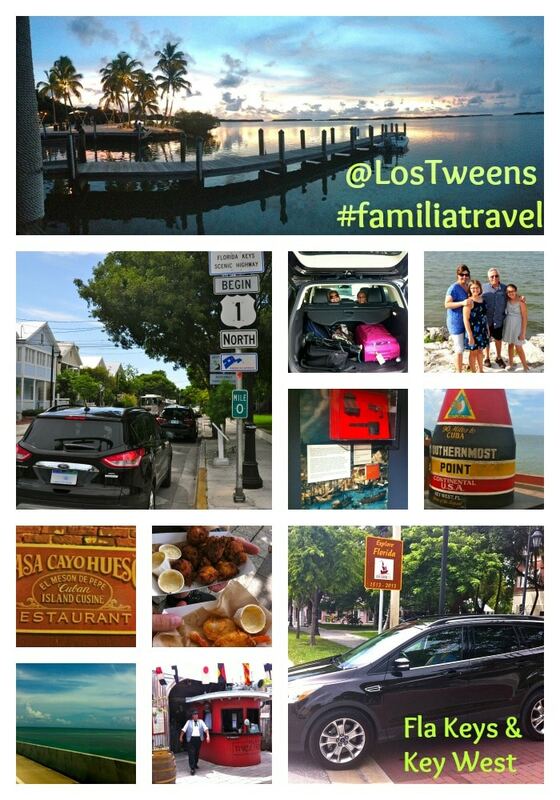 ‘Los Cayos’ – a.k.a The Florida Keys– always have been a favorite family destination for my ‘Clavijo’ side and my husband’s Kish side actually has Key West roots through his mother. We visited the area many times throughout my childhood with my Cuban Abuelos having a special love of the islands. But I actually had not been to Key West for nearly seven years and forgotten some of its allure and unique history. We set out for an easy, spirit-boosting 3-hour drive from Miami in our oh-too-cool Ford Escape– a weekend loaner from our amigos at @FordEspanol (follow them on Twitter). With the precise navigation map and insights for us and the cool entertainment features for the kids – we were ready! From Spanish Gallion and African Slave ships sinking against the Keys’ amazing natural coral reef to Ernest Hemingway and Harry Truman calling the island home and retreat in recent history – Key West is a place where much of Florida’s 500 years can be seen and experienced. Here’s some historical trivia – create a fun challenge with your family! Following the original inhabitants of the Calusa Indian tribe, the first European to discover the island was Spaniard Juan Ponce de Leon? Where Key West got its Spanish name “Cayo Hueso?” From Ponce de Leon himself who was referring to an “Island of Bones” due to the island literally being littered with human bones as it had been a Native American burial ground. During the Civil War while the rest of Florida was part of the Southern confederacy Key West remained a Union stronghold and key military port? In 1890 Key West (Monroe) had a population of nearly 18,800 vs. Miami’s 861? That in 1890 Key West had the highest per capita household income in Florida? From the sponge and ship wrecking industries the area became the richest city in Florida! In the 1800s a large influx of Cuban immigrants settled on the island and the cigar-making industry was a significant economic boost? At one point, Spanish was the second language of Key West. With Cuba only 90 miles from Key West you arrive on the island faster than going to Miami! And the facts and trivia list could go on for pages with historical references- which makes Key West such a fun and engaging family destination. Kids can enjoy learning significant history and exposure to marine life and activities while in an amazing setting. There are unique state parks and federally protected areas including Fort Zachary Taylor and the ever-engaging Mel Fisher Maritime Museum featuring the findings of Spanish ships the Atocha and Santa Margarita. A new discovery for our family was the Key West Shipwreck museum with a fun, interactive ‘live’ portrayal of early life in Key West during the boom period of salvaging. There is no denying that Key West also has a terrific nightlife and unique resort properties and guest houses that are very much about adults only. If you can travel with Abuelos or someone to help you watch the kiddos at night- then the parents can escape for some fun. 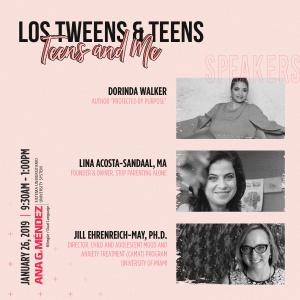 We’ll have a related ‘no kids’ story in our Between Amigas section. Among my favorite moments of the weekend was the drive around Key West and then home! We enjoyed it and especially enjoyed only needing to stop for gas once! The Ford Escape gets amazing gas mileage. 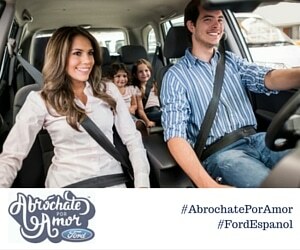 Enjoy your travels..disfruten los viajes familiares. This entry was posted in Travel and tagged family travel, history, padres, travel, Tweens, viajes. Bookmark the permalink. Pingback: Celebrate Florida 500 in the Florida Keys! Saben ԛuanto sale un hotel cerca dee aqui?